Organised in a link-up with New York and broadcast live with English interpreting for aficionados the world over, especially via the Euronews.org website, this event which has established itself as a stellar fixture on the international watchmaking calendar offers an annual salute to the excellence of worldwide watch production. 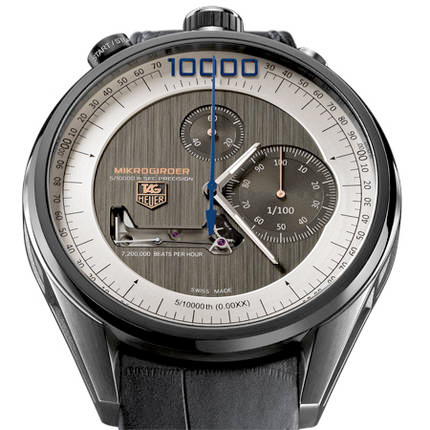 The international jury of this 12th edition, composed of watch industry professionals, awarded the “Aiguille d’Or” Grand Prix, the supreme distinction honouring the finest timepiece of the year, to the Mikrogirder model by TAG Heuer. Created in 2001 and overseen since 2011 by a Foundation, the Geneva Watchmaking Grand Prix contributes to the international renown and influence of the watch industry and of its values: innovation, perpetuating expertise across generations and a constant quest for excellence. These shared core values are also upheld by the main partner of the GPHG Foundation, the Banque Privée Edmond de Rothschild. Since 2011, the latter annually rewards the best young student at the Geneva Watchmaking School by granting a scholarship.